Sony has been pushing high-resolution audio more aggressively than almost any other manufacturer. Prior to Sony’s introduction of the MDR-1000X, the company’s flagship wireless headphones. Bose was widely regarded as having the best noise-cancelling offerings in the industry. Yours truly has been a user of the Bose QuietComfort headphones since 2007 and have appreciated active noise-cancelling technologies from the days where we inserted AAA batteries into the earpiece to the rechargeable options today. Implemented in the MDR-1000X is Sony’s Sense Engine and Personal NC (Noise-Cancelling) Optimiser, an auto-calibration software similar to those found on home cinema systems. With excellent sound quality, comfort and noise cancellation, the MDR-1000X was a game-changer, it has successfully disrupted the reign of the incumbent Bose QuietComfort. 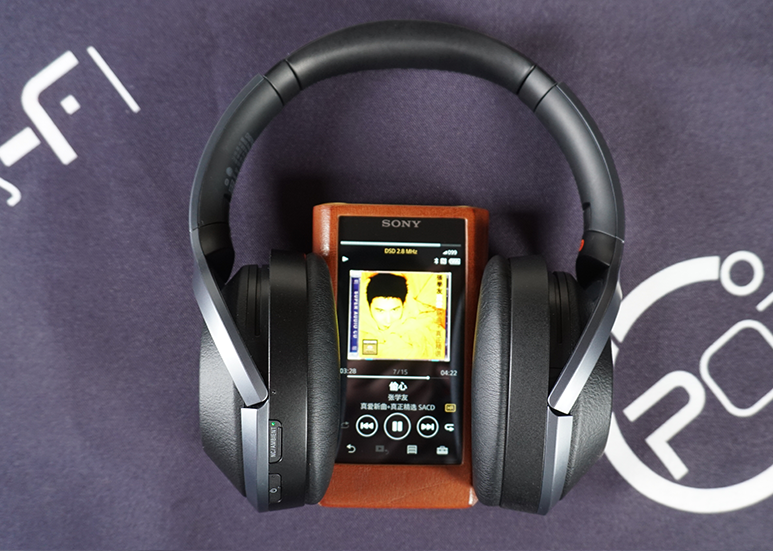 With the discontinuation of the MDR-1000X, Sony released its successor in 2017, the WH-1000XM2. 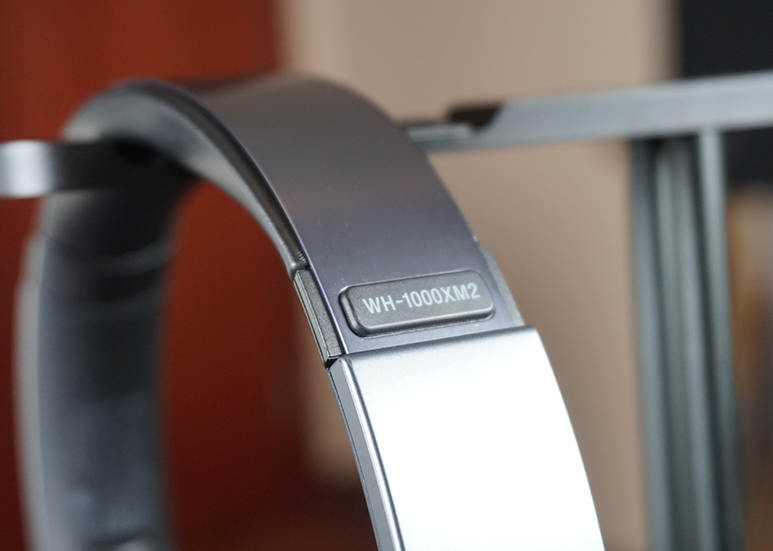 Under the new naming convention, Sony also expanded on the 1000X range to include noise cancelling wireless In-Ear headphones WI-1000X, and noise cancelling cordless Bluetooth earphones WF-1000X. Will the WH-1000XM2 continue the legacy defined by its predecessor? Visually, the WH-1000XM2 looks similar its predecessor, featuring the same headband and earpad cushioning, it retains the comfort level of the MDR-1000X. Clamp force is just nice, holding the headphones to the sides of your head without any excessive pressure. Sony has, however, made subtle changes to the touch-capacitive earpiece covers making them more tactile as well as to the finishing with the gold replacing the beige, the black is retained, however, in a finish that is more blueish gun-metal grey. And I have to say I really like it. Integral to the highly successful MDR-1000X, the Sense Engine and Personal NC (Noise-Cancelling) Optimiser again anchors the WH-1000XM2 coupled with the addition of an Atmospheric Pressure Optimiser which means that you could hear a couple of extra chimes when the auto calibration software pings out test tones. Using readings from an integrated pressure sensor that is built into the left earpiece, the sensor detects any shift in atmospheric pressure that could not only upset the frequency balance of the headphones but also the sensitivity of the four microphones used for noise-cancelling which are located on the inside of the headphones and at the top of the outer earpiece covers. 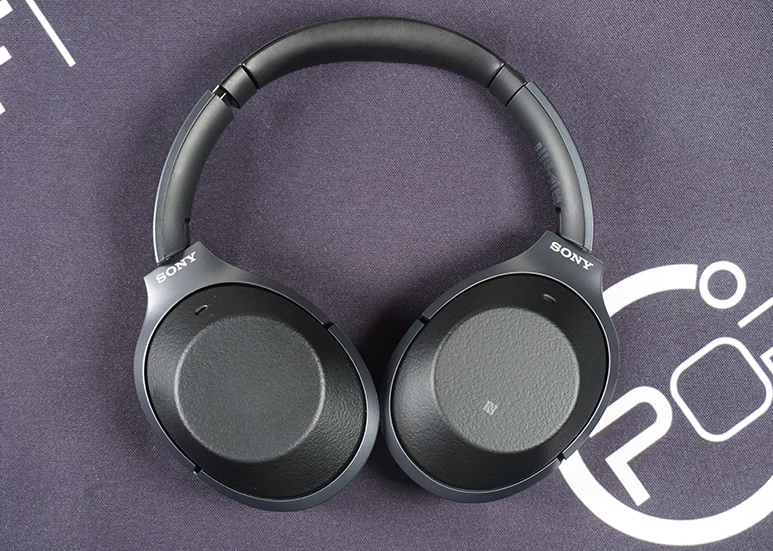 Sony’s Quick Attention mode was also retained, allowing one to mute the headphones for a quick conversation by simply holding your palm over the right earpiece. Move your palm away and the music resumes to its previous volume. Playback control remains on the touch control built into the surface of the right earpiece; the added texture provides a better experience when swiping on the touch-capacitive earpiece. While it needs a bit of getting used to, it betters the implementation on the MDR-1000X and will add to the overall user experience. As expected of Sony’s flagship wireless headphones, the WH-1000XM2 features LDAC, the company’s proprietary Bluetooth codec supporting high-resolution audio of up to 24bit/96kHz, the headphones are also compatible with aptX HD supporting audio resolutions of up to 24bit/48kHz. If your source device doesn’t support either of the two codecs, the WH-1000XM2 features DSEE (Digital Sound Enhancement Engine) HX processing, which Sony claims to upscale compressed audio transmitted via the normal Bluetooth codec. To complete the Bluetooth experience, the left earpiece also has an NFC chip built-in for easier pairing with NFC-enabled devices. 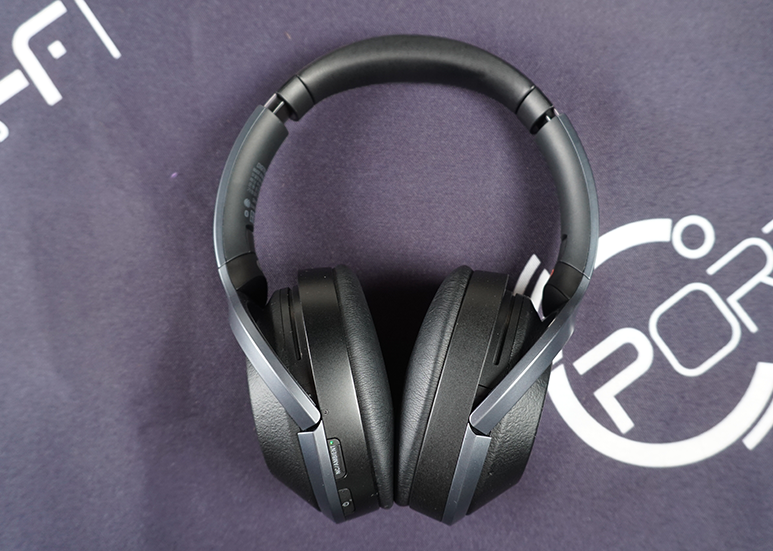 The MDR-1000X was impressive with a battery life of up to 20 hours, the WH-1000XM2 upped the game by extending the battery life to 30 hours on wireless and 40 hours on wired mode. Wired mode? Yes, the flagship wireless headphones can be hooked up to a 3.5mm headphone jack for the wired mode with active noise-cancellation. But, that’s not all, there is also a quick-charge feature where 10 mins of charging will provide you 70 minutes of playtime, useful for the odd days where you needed just enough juice for that short journey. The power button and the NC/Ambient button are conveniently located at the edge of the left earpiece, a position that is facing the user before one puts on the headphone. 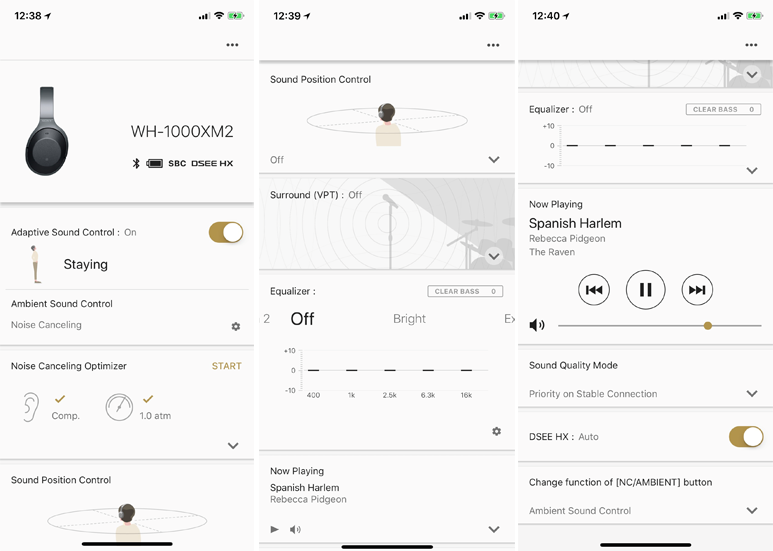 Available for both Android and iOS, the Sony Headphones Connect app is not required for the headphone to perform its intended function; it, however, does provide the additional level of customisation that differentiates it from the competition. The app detects your movements through your phone’s gyroscope, determines whether you’re in a vehicle, running, walking or staying still and automatically switches between modes. Known as Adaptive Sound Control, it allows you to enjoy the benefits of noise-cancellation while allowing one to be able to hear some of the worlds around you when needed to and if the default setting doesn’t suit you, you can adjust the amount of noise cancelling and ambient sound you want to experience via the app. Sony’s DSEE HX audio processing can be disabled from the app too. There was no option to disable this in the MDR-1000X, therefore it is permanently enabled. On the WH-1000XM2, I preferred listening with DSEE HX enabled. For those of you who would like to tweak around with your music, the app also features an equalizer, sound position control as well as surround sound control based Sony’s Virtualphones Technology (VPT), the company’s proprietary virtual surround technology that enables listeners to enjoy a movie-theatre-like “live” surround sound. The level of customisation provided by the Headphones Connect app adds another dimension of experience to the WH-1000XM2, this, however, is only restricted to users whose source device runs on Android or iOS. I have given my feedback to Sony to explore enabling the app to connect and control a source device that is not running on Android or iOS via Bluetooth citing Sony’s very own NW-WM1Z as an example. 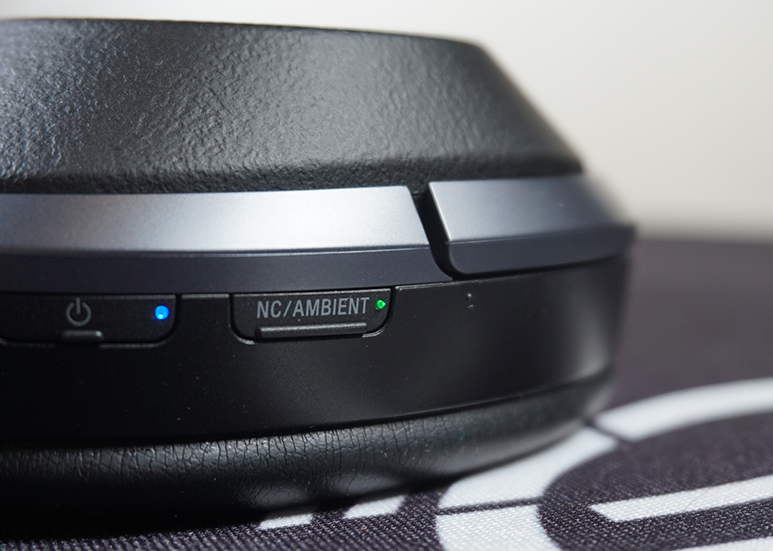 The WH-1000XM2 is right up there with the best when it comes to noise-cancelling. I have during the process of the review put the headphones through a number of environments which include; a coffee shop filled with customers eagerly engaging in their conversations, a construction site with jackhammers drilling, a train carriage filled passionate kids who just finished their lessons as well as a weekend event venue where loud music is blasted throughout – while I cannot say that the WH-1000XM2 managed to cancel the noise totally, it has competently reduced it to a whisper. The addition of the Atmospheric Pressure Optimiser which detects changes in atmospheric pressure and applies the necessary compensation to the WH-1000XM2, re-calibration of the headphones is necessary when the captain informs you that the flight has reached flying attitude and similarly when you are using it on the ground. Having experienced the WH-1000XM2 on a flight, I can attest that the Atmospheric Pressure Optimiser more than just a fancy term. Playing my reference tracks on the WH-1000XM2, it is evident that the low-end is full-bodied and weighty allowing depth when you expect it but without any sluggishness or flabbiness. It is a more confident presentation compared to its predecessor, though still lacking in sub-bass extensions, its lack of refinement shows when playing classical or jazz. Clearly a low-end tuned for bass heads. Direct and lush is how I would describe the midrange, though filled with an impressive level of detail while the treble is refined and free of sibilance, ensuring a good balance throughout the higher-end to come through clearly without sounding bright but enough sparkle for enjoyment. It is observed particularly with female vocals, while we are able to experience the vocals, the vocals lacked emotions, attributable to the low-end centric tuning which the WH-1000XM2 exhibits. The Sony WH-1000XM2 are an exceptional pair of noise-cancelling headphones, bettering its predecessor in nearly every way. Sony kept what's right with the MDR-1000X and made what's good better, allowing the WH-1000XM2 to become a competent all-rounder that exhibits better physical design and smarter noise-cancellation.